Think you can predict results? Then take part in the official #BLPredictor challenge right here! With over 90 per cent of his passes finding their man, there is not much Borussia Dortmund midfielder Julian Weigl is getting wrong when he is in possession. Nevertheless, the Germany international is not entirely satisfied and he would like to see more of those passes making even more of a difference. "I want to become more dangerous," he told Kicker.de. "I want more of my passes to lead to goals or to assists." He plans to achieve that by building on the confidence gained from his first full season of Bundesliga action, which was crowned by a call-up to Germany's UEFA EURO 2016 squad. "I'm going to look for the killer pass more often," he said. "That is what I'm working on." 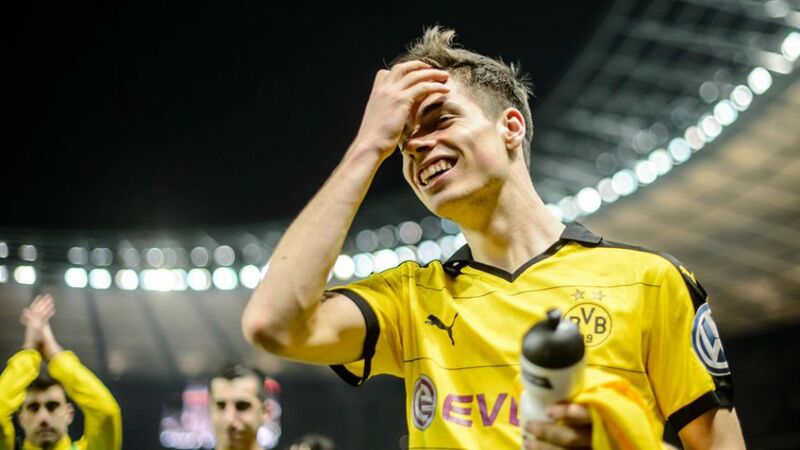 Want Weigl in your Official Fantasy Bundesliga team? Sign up here!